The index opened strong at 8666 and made newer highs with each passing hour to close near the highs of the day at 8738.10, huge gain of 126.95 points. The broader market was strong with 1447 advances to 203 declines. Range has narrowed down to 8500-9000. Call option 8700-9200 added 19.03 lacs OI with short covering at 8600 and below strike prices. Put option 8800-8500 added 22.48 lacs OI with profit booking at 8400 and below strike prices. Nifty Open Interest is at 2,19,92,550 down by 8,38,650 with increase in price, probably huge short covering. 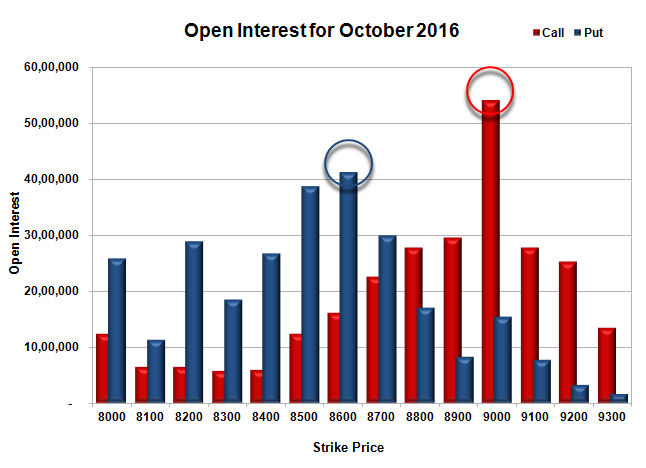 Bank Nifty Open Interest is at 19,09,480 down by 40,560 with increase in price, probably short covering. 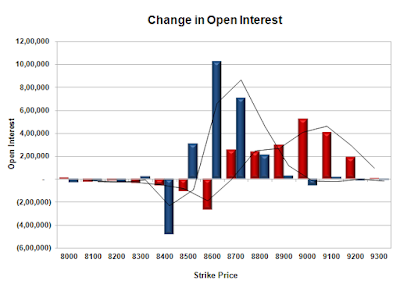 FII’s sold 2408 contracts of Index Futures, which includes net 1601 contracts long liquidation and 807 contracts short build-up, with decrease in net OI by 794 contracts, includes 31662 longs to 34070 shorts for the day. FII’s Index future open contract as on date is 221871 Longs to 35397 Shorts, Net long 186474 contracts. Initial support at 8700 with OI of 29.93 lacs and below that at 8600 with OI of 41.25 lacs. 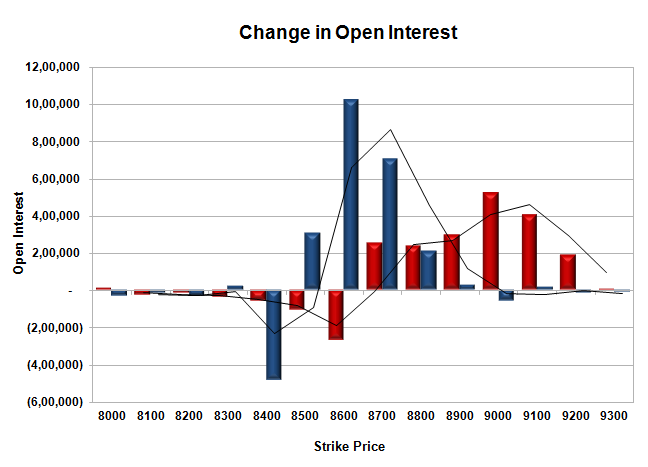 Initial resistance at 8800 with OI of 27.84 lacs and above that at 8900 with OI of 29.55 lacs. 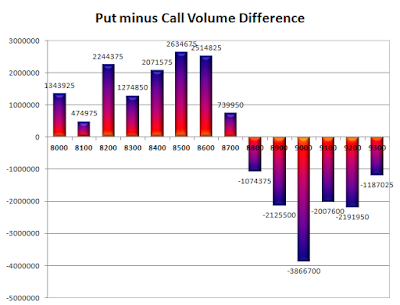 Day Range as per Option Table is 8638 - 8793 and as per VIX is 8667 - 8810 with 8706 as the Pivot.